Do you love ice cream? Well, a new store just opened up in Philly that you will love. 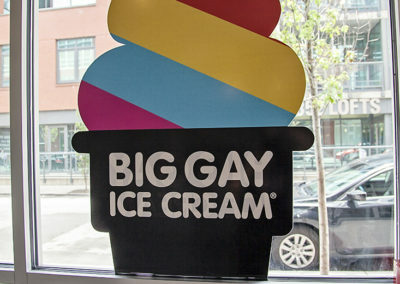 Big Gay Ice Cream! 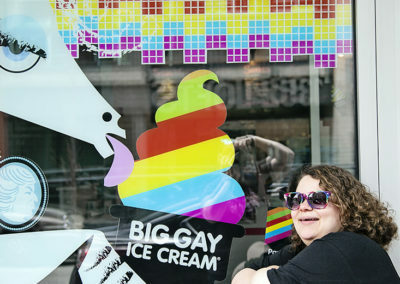 They started out as an ice cream truck in New York City and now they have two shops in New York. 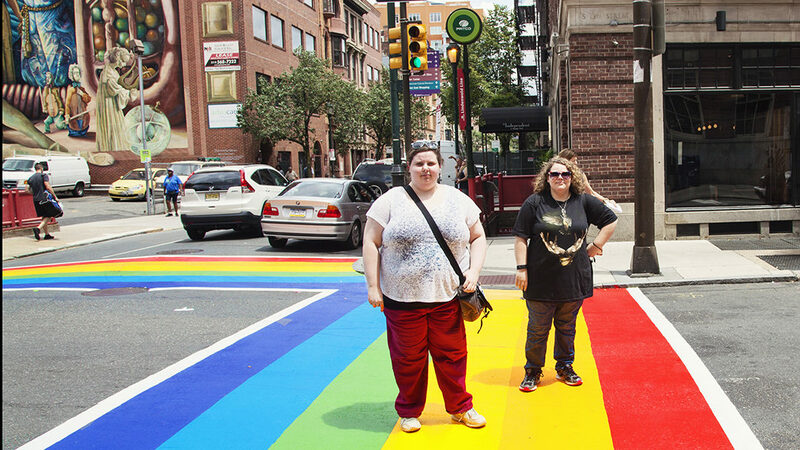 They recently opened their shop in Philly on the corner of South and Broad Streets. If you have trouble finding it, just look for the rainbow unicorn on the front window. 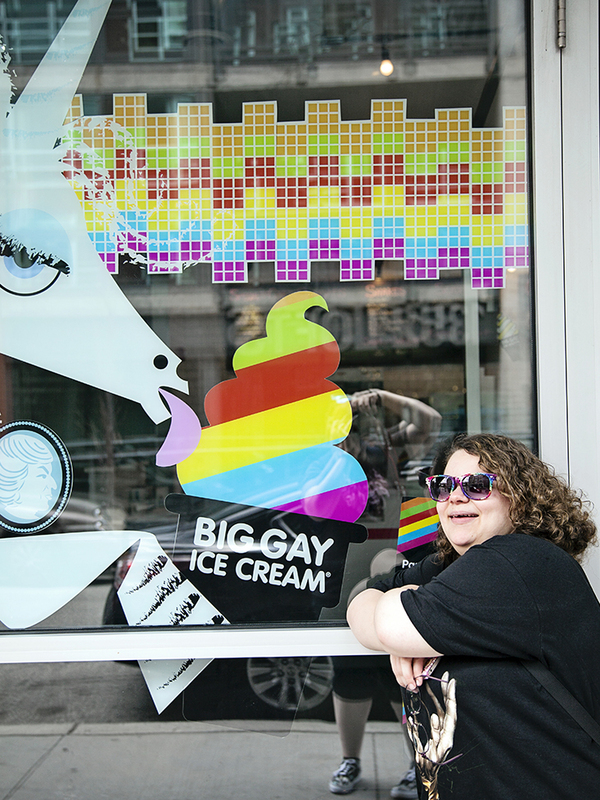 What makes them different from other ice cream shops, besides the abundance of rainbow decor? Their ice cream creations. 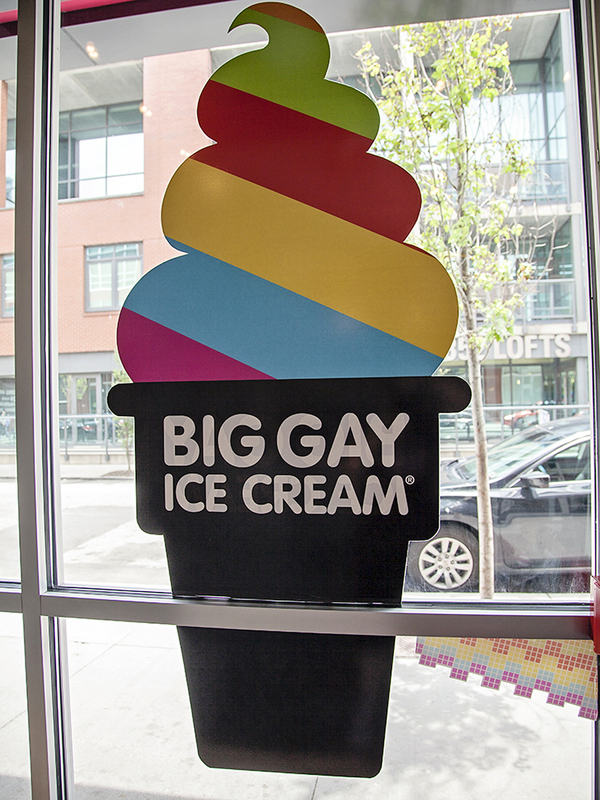 They range from the Salty Pimp, which is a salty caramel chocolaty treat to the seasonal pie inspired sundaes. My cousins and I had to check it out once it opened. 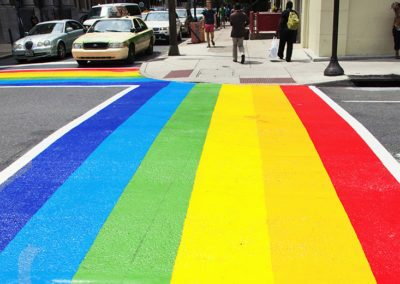 While we were there, about 3 blocks up is the rainbow crosswalks that they just installed. 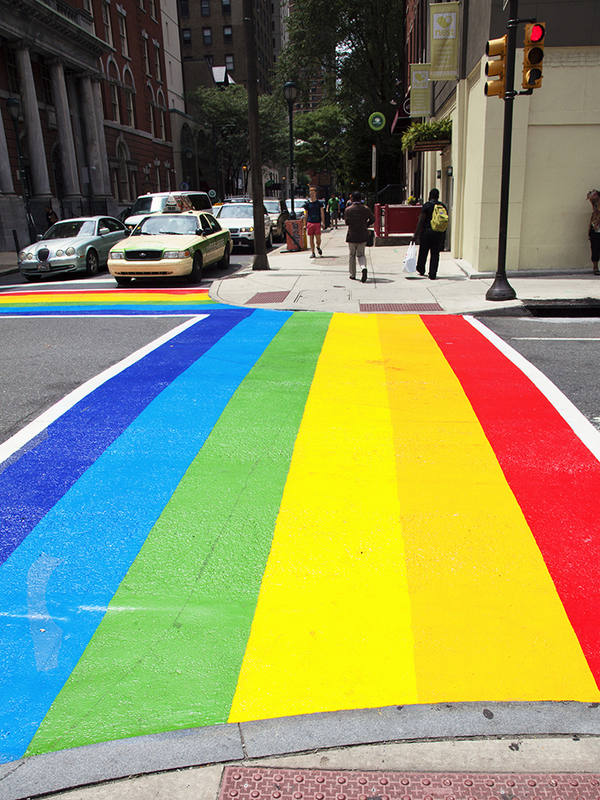 At the corners of 13th street and Locust streets, the crosswalks are painted in rainbow colors. Both of these places are worth the visit, so go check them out!